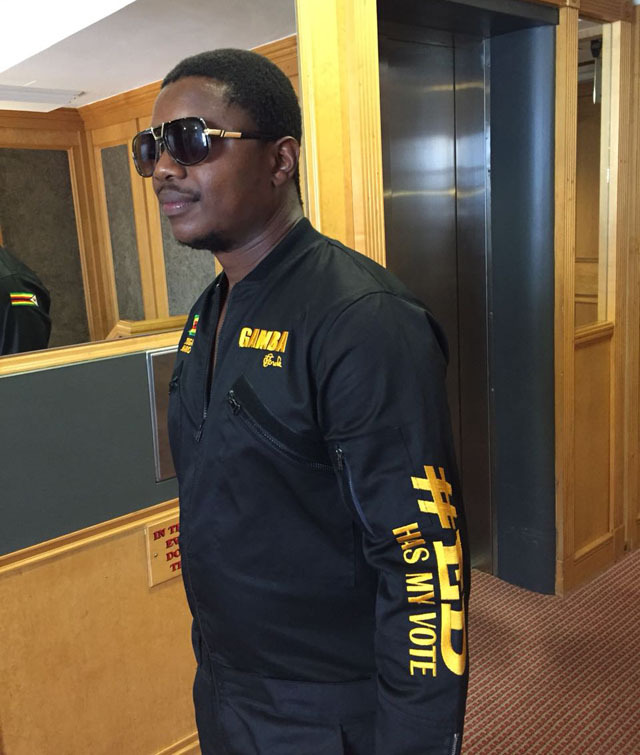 YOUTHFUL businessman and fashion designer, James Pande, has launched a new clothing line called ‘ED Has My Vote’ ahead of the forthcoming harmonised elections. Pande, who is famed of his Hovhorosi style attire, has endorsed new President Emmerson Mnangagwa with a new label. Made with canvas material, Pande said the ED Has My Vote Hovhorosi is a label set to compete with other popular labels on the international platform. “Elections are around the corner and as a businessman, I saw it fit to come up with the ED Has My Vote Hovhorosi. “The fabric used in making the Hovhorosi is the canvas material and basing on the quality of our products, we have no doubt that we can surely compete with other clothing labels on an international platform. “Our confidence is in the fact that international labels such as Gucci, Tom Ford, Sean John among others also used canvas material,” he said. “We want youths to be visible, we want an identification as young people, and this regalia is not only meant for political mileage but will come in different designs. “The reason why we choose the Hovhorosi style is that it represents workmanship. We are the youths and we don’t want to sleep on duty for the sake of our future,” he said. Despite the high demand for the label, Pande said they are doing their best in supplying orders to their clients. “What is also attracting people to our products is the fact that they have their national colours. “As we speak, the regalia is on demand and we have received orders from across the country. “We are hoping we will meet the demand and we promise to deliver to our clients, it’s an ongoing movement and we have witnessed the similar style with South African political parties. “It’s our bid to make our dreams visible through this regalia which we feel will stamp our authority on who we want to vote for. “As youths, we have set sights towards the elections and we are very clear on who we want to lead us,” he said.